Placements: Placement is the ultimate goal, the desired destination and the fulfillment of the dream of the aspirant student, his or her parents, the faculty and the Management who make frantic endeavors in carving out and crafting the students’ career. Naturally, the value of placement in the life of an Engineer or technocrat is undeniable and of utmost significance. A student’s Bon Voyage begins with admission in the college and the course of his choice. Search for placement becomes of crucial significance as soon as the budding engineer smoothly goes ahead. At this stage the Placement Cell becomes the nerve-centre of the college and advance planning begins to see each student well placed in public or private sector. Placement happens to be the climax or culmination of an aspirant student’s journey on the road of education. The Placement Cell of Dronacharya College of Engineering is active, conscious and vibrant. The team concerning Career Services headed by Ms. Swasti Garg, the reasoned and seasoned Placement Officer, lends full assistance to the students in their search for suitable placement. Career Services takes care of students’ skills in resume-writing, imparting training in Interviews, identifying avenues for employability and other related activities. The Placement Cell remains wide awake and enthusiastically functions to empower students through motivation and grooming and shaping their personality. Keeping their urgency in mind special Seminars, Presentations and Group Discussions are arranged. The Seminars comprise of highly innovative, inspiring and invigorating lectures by the seasoned faculty of the college and by special invitees. HRD Managers, other Personnel Officers and Recruitment Officers are invited to the Campus. Central library: Library is the heart, mind and soul of an educational institution and a fountain-head of innovativeness, inspiration and insight both for the students and the faculty. Learning and library are to each other as the light to the lamp. Information Resource Centre (Library) is located in the spacious section of the College building with air conditioned reading room. It has been systematically and steadily strengthened. The IRC’s operation and services are fully computerized with “e- Granthalaya” multi-user Integrated Library Automation Software, developed by National Informatics Centre, New Delhi and a Bar Code based circulation system is in use. The IRC is equipped with more than 26,000 books from different streams. Besides these text and reference books IRC is also subscribing a large number of national and international journals, magazines and dailies. Bibliographic records of IRC’s holdings can be, accessed through the e- Granthalaya’s On Line Public Access Catalogue(OPAC). The IRC is also maintains a good collection of important educational CDs on Engineering & Technology. The college is an institutional member of British Council Division Library, New Delhi and American Information Resource Centre, New Delhi. Our students can avail Library and Information Services of these centers for their specialized information needs, where in they can get a very large volume of books & periodicals along with audio-video, digital and online information resources. Hostel: It is for both boys’ and girls’ are among the essential requirements for students hailing from different parts across the country, since the Entrance Test for admission to engineering courses is of All India Level (AIEEE.) 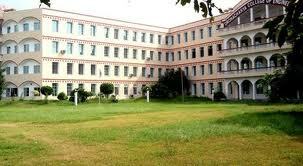 The College has a tastefully constructed Boys’ Hostel in the campus having one, two and three seaters. Hygienically prepared nutritious food, recreation room equipped with T.V., facility of indoor games and internet, exemplary discipline with desired freedom make the hostel a home away from home. The Girls’ Hostel at Sector-5, Gurgaon emulates the ideal academic environment where rules are abided by in their true spirit. We appreciate parents’ anxiety regarding a safe and secure environment for their wards. The wardens in both the hostels act as guardians for the hostelers. They are under the direct control of the registrar, a great disciplinarian. Ragging is given a big ‘No’ both at our campus and in our hostels. The College provides ample opportunities to students to display their talent in debates, symposiums, dramatics, dance, music and several other co-curricular activities for their all-round development. The Cultural Committee of the College takes intense interest in talent exploration and search. Students are inspired and motivated to fully participate in the organisation and anchoring of highly colourful cultural programmes in which Awards and Certificates are given away to meritorious students. Placement is the ultimate goal, the desired destination and the fulfillment of the dream of the aspirant student, his or her parents, the faculty and the Management who make frantic endeavors in carving out and crafting the students’ career. Naturally, the value of placement in the life of an Engineer or technocrat is undeniable and of utmost significance. A student’s Bon Voyage begins with admission in the college and the course of his choice. Search for placement becomes of crucial significance as soon as the budding engineer smoothly goes ahead. At this stage the Placement Cell becomes the nerve-centre of the college and advance planning begins to see each student well placed in public or private sector. Placement happens to be the climax or culmination of an aspirant student’s journey on the road of education.